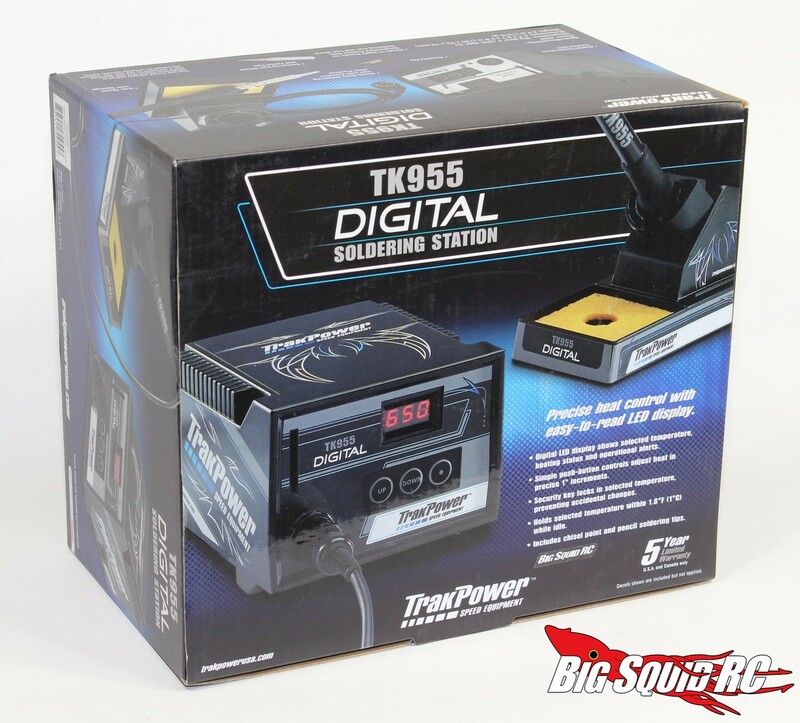 Product Spotlight – TrakPower TK955 Digital Soldering Station Review « Big Squid RC – RC Car and Truck News, Reviews, Videos, and More! To get a job done right it is always best to have the right tool. RC hobbyists sure do a lot of solder work so it only makes sense to invest in a good soldering station. * The TrakPower had more than enough power to handle everything we threw at it. 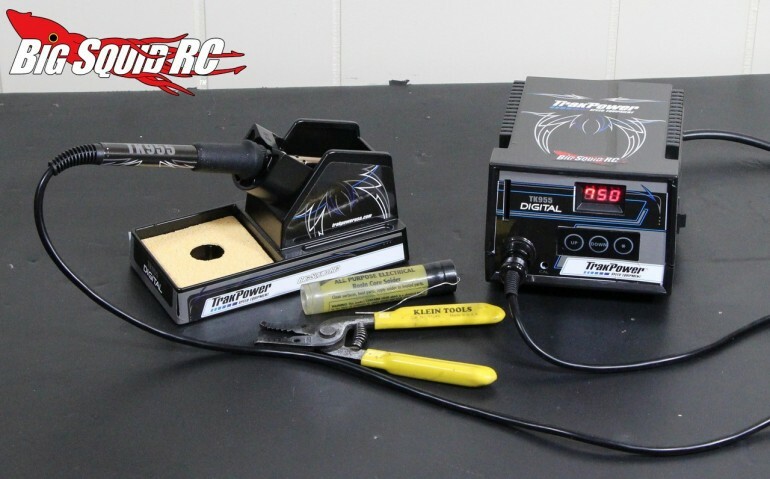 The TK955 easily made short work of 10 gauge wire to bullet connectors, one of the toughest jobs we have around the BSRC Bash Compound. 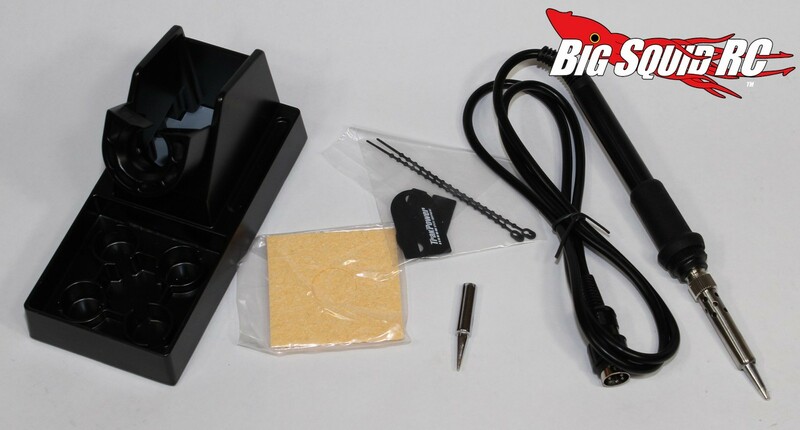 * It comes with two different tips, a medium sized flat tip and a pencil tip. 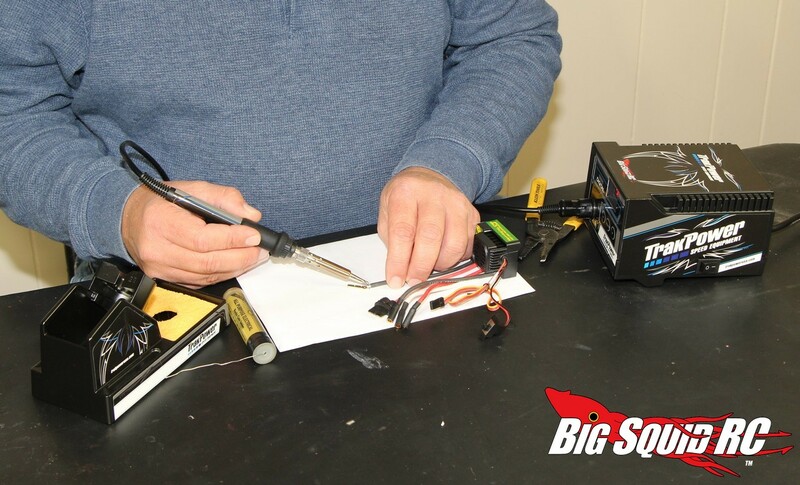 The flat was the tip of choice for soldering up battery connectors, while the pencil came in handy for smaller work like putting a wire back on a circuit board. * We purposely banged the TK955 around and it still works fine today. 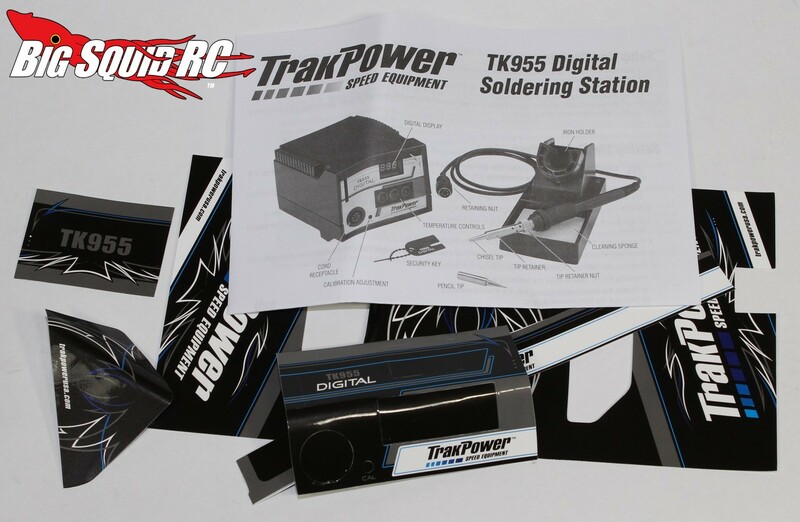 Overall, we found the TK955 to be a powerful and great looking solder station. From small work to large, it never failed to get the job done and we can highly recommend it to you. 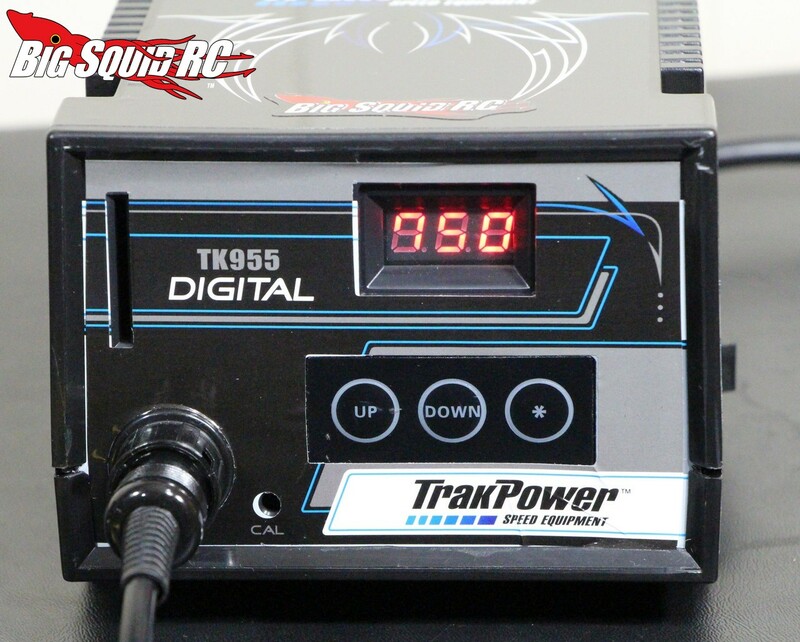 The TK955 is priced at $109 and comes with a 5 year warranty. Hit up This Link for full details over on TrakPower’s website. 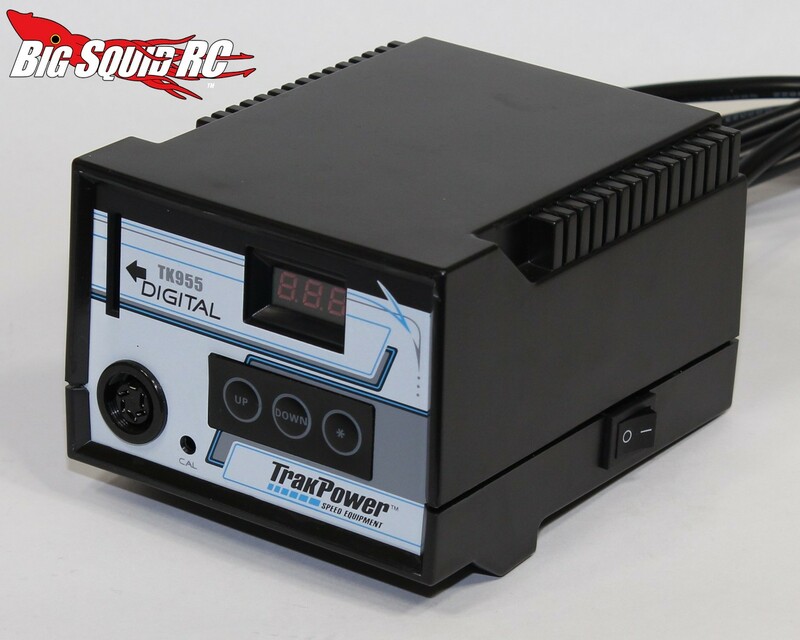 Click Here to read up on more TrakPower news.